Kim Kardashian has just revealed that she expects her 1-year-old daughter North West to earn her own money as she grows older and to not depend on her mega-rich celebrity parents. This sort of explains why Kim and husband Kanye West are already introducing the little child into the fashion industry, where North has already scored a full page solo Chanel campaign, see here. 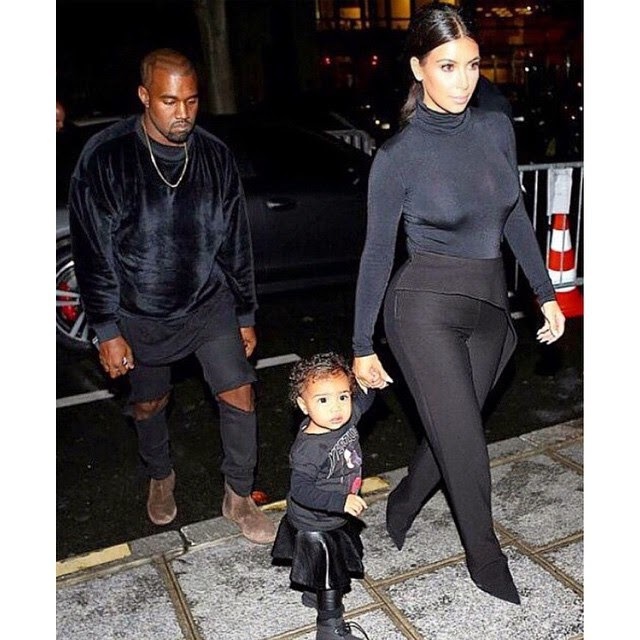 They also took North to the Paris Fashion Week where she had her own front row seat. Kim said this aspect of her parenting style came from her own mom and dad, explaining to UK's Evening Standard Magazine that she herself had also worked as a teenager. She said she had to studiously save her money during high school so she could treat herself to designer brands she wanted. What do you think of this idea of children working at a young age and earning money? Is it something you are doing or would do? hmmmmm na wah oooot hey never even allow the baby grow first, they don they talk say she go earn her own money.all this money KUWTK are sharing ...dariz is God ooo.